Another one joins the ranks! 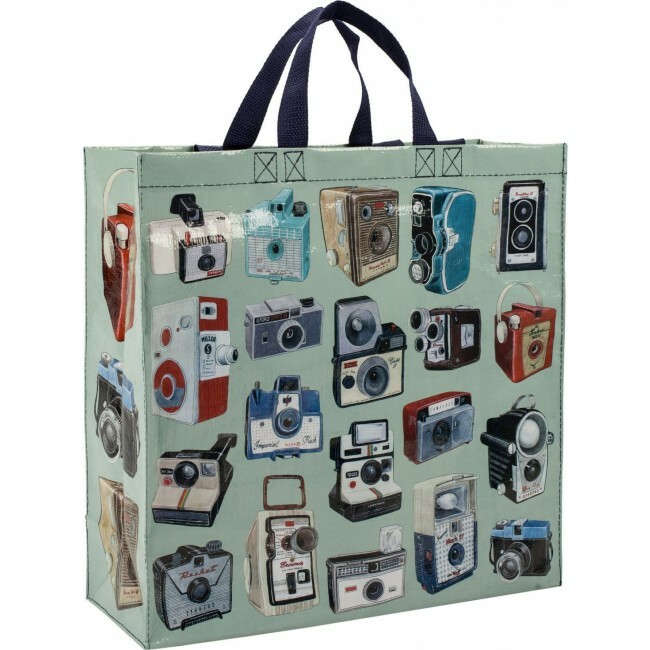 This camera-coated shopper is the newest favorite of the old-school enthusiast. Check out the rest of it's pals in Pencil Case, Zipper Pouch, Shoulder Tote and Messenger Bag form. Art by Christine Berrie. Double Duty Handles, this style also has a convenient shoulder length strap. Made with 95% post consumer recycled material. 15" x 16".